“We received a grant and realized we had no clue how to do a mural,” said Susan Martinsen. I met Susan over photographs, drawings, charts and lots of paint in Ashland Wisconsin. She was repairing the aviation mural, part of a Mural Walk. 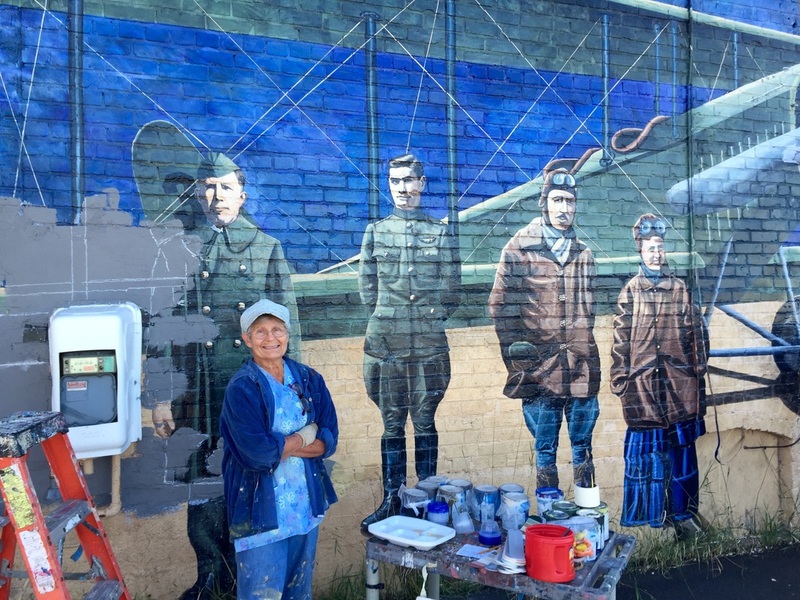 Susan and her partner Kelly Meredith have painted 20 murals all over the area creating an artistic walk through local history. 15 years later they have captured precious memories and deepened a sense of community for many. 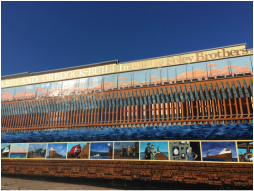 For the Ore Dock mural, they collected stories and photos from residents of family members who had worked there. They approached most of their artwork by collecting stories. The dock, built in 1916 was used to transport ore to awaiting ships. She added that there are not many workers around anymore. The mural is almost a block long and contains 29 “postcards” telling stories of the people and uses of the dock. I was touched by the stories and the passion of Kelly and Susan. 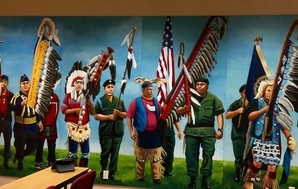 She invited me to stop at The Bureau of Indian Affairs and see the murals.